Steel arch buildings could be the perfect thing for anyone that wants to put up a structure of some kind, without having to worry about it long term. Like other modern metal buildings, steel arch buildings come with a number of superior qualities that older style wooden and cement block buildings will not be able to compete with. Whether someone is looking for metal carports, quonset hut kits or some other kinds of prefabricated steel buildings, they will find a lot of positives, and very few negatives. Since steel is the most recycled material in American today, purchasing steel arch buildings could be an incredible thing for the environment. Recycling steel can save up to 75 percent of the energy that would otherwise be used to create new steel from raw materials. That is enough to power approximately 18 million houses. Of course, when it comes to steel arch buildings, being able to have a positive impact on the environment is only the beginning. Steel arch buildings, storage sheds and boat housings can be used year round, no matter what it is that one may be looking to store. Some people may want to protect their boats and cars from the weather, as well as other harmful things like UV rays. UV rays are typically the biggest concern for a boat owner. 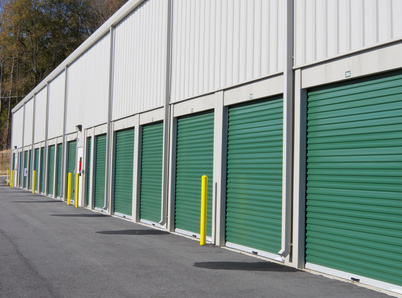 Like other things, it can easily be prevented by storing it in a safe and sturdy steel structure. Steel arch buildings are incredibly tough, but what may be even better for most people is the fact that they can also be quite affordable. Anyone that is looking to put something up that will look great, protect their personal property and save them money will definitely want to make sure that they take a close look at steel arch buildings. They may find everything they are looking for in one simple package.